Whether you are planning a wedding, bar mitzvah, corporate event, birthday party, or any other large celebration, one of the most important aspects is your entertainment. (Let’s be honest, nobody likes a boring party!) Hosting an event that has plenty of exciting things going on will ensure that each guest has a wonderful time. But before you rush out and hire the first disc jockey or the cheapest DJ you can find, do your research and ask the right questions. A DJ has the potential to make your event the hit of the season, so make sure you know exactly what you are paying for! What special talents do you have? It might seem like a funny question to ask, but you really want to find someone who has practiced their craft and can stand out from other DJs. Each DJ has their own personal skill set and not each of these individuals will have the best skills to meet your specific needs. Find out what kind of hosting and MCing skills your DJ has that can make your event a success. You want to be happy with your DJ, because they will be the one responsible for ensuring your guests are having fun keeping them at your event the whole time! The most important thing is to find a DJ who will give you and your event the attention and service you deserve. What is your planning process like? How your DJ coordinates the planning and preparation for your event will make all the difference. Many DJs offer planning sessions over the phone or through online forms. While this type of planning is time-efficient, it typically results in cookie-cutter events. The best DJs ask questions about you that go deeper than just the music. Allow your DJ to get to know you and everyone involved in the big event. Usually face-to-face meeting will bring out more possibilities than just phone calls. This will help them to learn how they can make it a day to be remembered! How do you select the music for my event? Don’t you want to have control over the types of music and songs that are played? A great DJ will help you select the best playlist – every single song if you choose. If music isn’t your thing, you can count on the DJ to gauge the audience and play the right types of music to suit the crowd. When selecting music with your DJ, there should be three categories. First, you’ll choose background music that guests will hear as they mingle, take a seat, or eat their meal. Second, you’ll pick out special songs to be played at times like when the bride and groom share their first dance and the father daughter dance. Lastly, you will select some dancing requests. This gives you the opportunity to let your music preferences shine. You can list which songs to play (or definitely not play) during open dancing to ensure you and your friends and family will be dancing the night away! Do you have feedback from past clients? Many DJs will have a system in place to gauge the satisfaction of their clients. Ask to see surveys or references from people whom they have worked with in the past. Any service provider who doesn’t ask for feedback is content with the services they currently provide and isn’t looking to improve themselves or their work. This is true of all types of vendors, not just DJs. You may see many reviews on wedding sites but to have your company evaluated is much more useful – and it is important to learn how they are improving their services as individuals and as a company. What can you do to make my event personalized and unique? The last thing you want is an event like all the others. You want to have an amazing and memorable time, and you want your guests to feel the same! 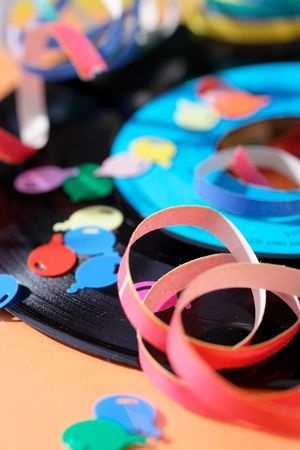 What creative ideas can your DJ share that will help make your event more enjoyable and personal? This is where you find the distinction between a DJ who simply plays music and a DJ who provides a full array of entertainment and creates joy through music and human interaction. Ask your DJ what their prices are and why. Will spending more on a full-time DJ be a better value? Is the DJ you are looking at below or above average, and why are they priced that way? Are they charging an average price because their services are average? Are their prices lower because they have less experience and lower quality work? Are their above average prices justified? Chances are that an above average priced DJ is taking into account that they are talented and that their unique services are in high demand; but definitely make sure they have the experience and references to back up their price! Once you find the right DJ, you’ll know and will feel confident that you are hiring the best person to help you carry out an unforgettable event! Copyright 2019 Kelli Burns Entertainment LLC. All Rights Reserved.